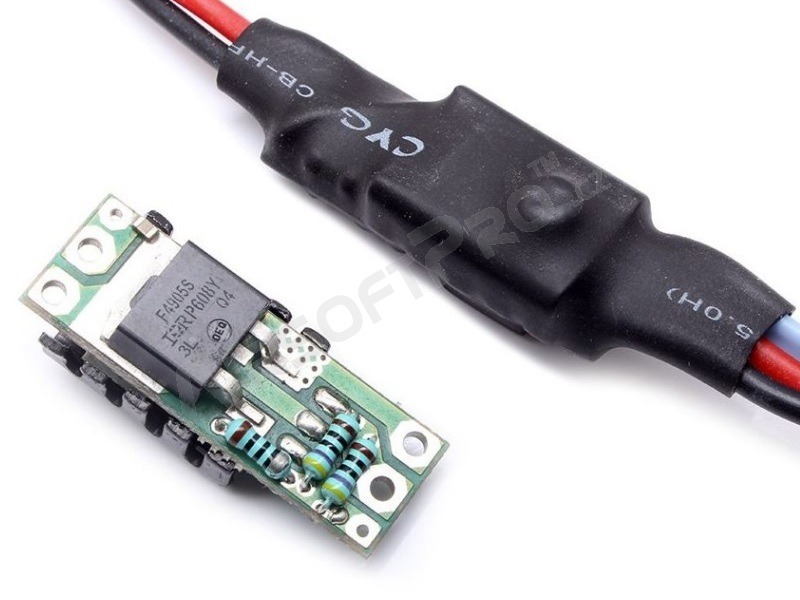 MOSFET gives you contactless switching of any circuit. Active break function uses residual energy of motor for its imidiate stop. The higher the torque of motor, the better breaking effect. Stops the piston in the default position and leaves the spring loose when on semi. Lower wear for not just piston and sping, but many other parts as well. Solves problem with double shot on semi. Designed for all AEGs - airsoft electric guns. 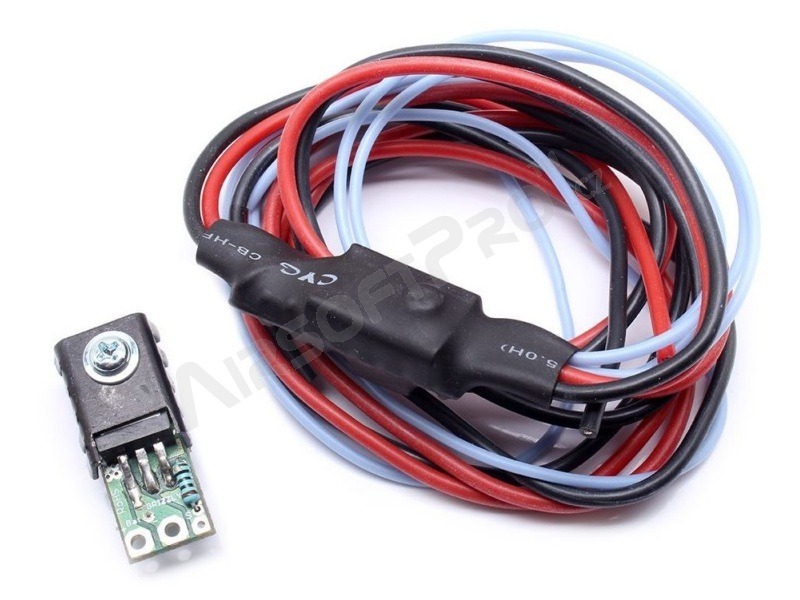 Four power wires (two red and two black) and two signal wires (blue) comes from the device. 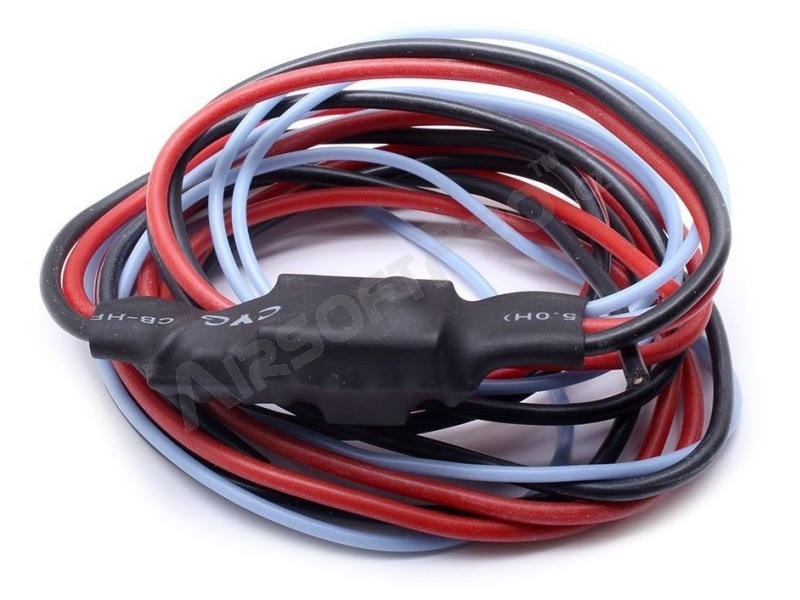 All high-quality silicone wires, 50 cm each. 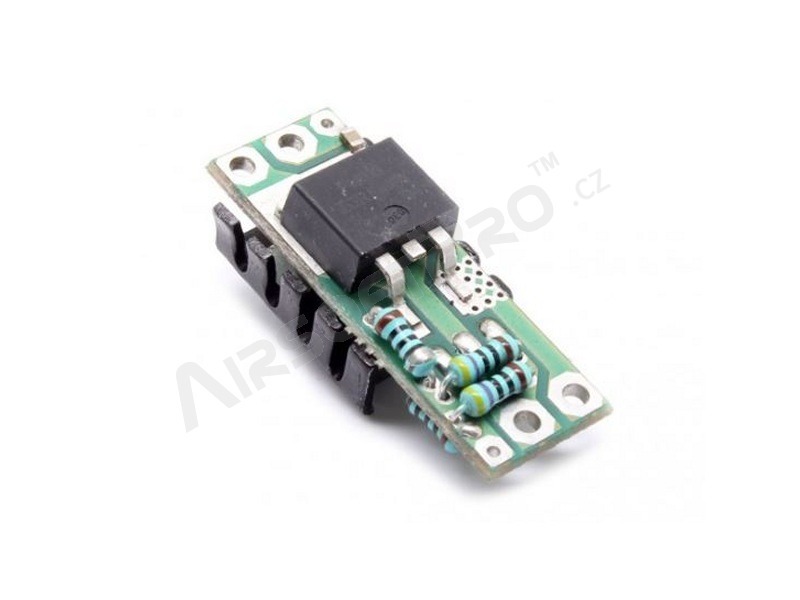 If you do not expect extreme conditions, choose MOSFET with active break. If you want to use your own wires, choose alternate without wiring.